Leiper was a goalkeeper, signed by Argyle from his hometown club Aberdeen East End. 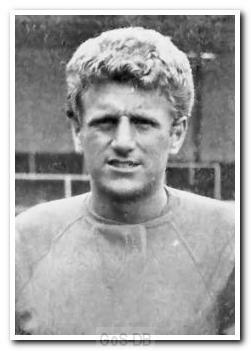 He spent seven seasons at Home Park, primarily as a back-up, but was first choice during the 1965-66 campaign, following an April of turmoil when the club's directors forced his selection over Noel Dwyer, which sparked manager Malcolm Allison's resignation. Leiper moved to Chelmsford City in 1968, but returned to Plymouth after his footballing days were over. Thank you for the opportunity to discuss John. We were school friends in the 40s/50s. He lived in Causeway End above "The Stags Head" bar where his father worked. We lost touch when he moved to Plymouth and I joined the Merchant Navy. I did hear that he worked for Plymouth Council but I'm not sure. I do hope that John and his family are well.